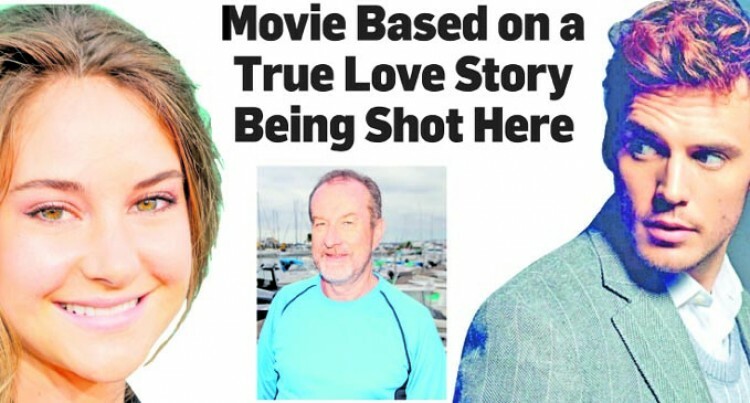 The true love story of the woman who sailed with her fiancé to deliver a 44-foot yacht but met with a Category 4 cyclone, and tragedy is being shot here. Adrift is based on the story of Tami Oldham, who in 1983 set off with her fiancé Richard Sharp to deliver a yacht from Tahiti to San Diego. Tragedy struck them when their boat was hit by massive waves at the height of a Category 4 Cyclone. She was knocked unconscious for hours. When she regained consciousness, she was badly injured and worse still could not find her fiancé. She gathered enough strength and courage she had to start her journey to find the man she loved in the midst of no means of communication and navigation. As memories of how she wound up there began to return, and with 1500 miles to the nearest port, Tami would have to race against the clock to save herself and the only man she has ever loved. Adrift is an unforgettable story of the power of the human spirit, told through the eyes of Tami’s extraordinary challenges at sea and the flashbacks that show the beauty of how she fell in love. The star of Divergent, The Fault in Our Stars, The Amazing Spider Man 2 and Snowden star, Shailene Woodley plays Tami Oldham while Me Before You actor, Sam Claflin plays her fiance. Ms Woodley has been spotted at different locations in Fiji for some time. However, it was unknown at the time why she was in the country, until the shooting of this movie was made public. Producer Ralph Winters gives an insight of why they had chosen Fiji as the ideal location to shoot 47 per cent of the film here. On Friday, scenes from the movie were shot at the Royal Suva Yacht Club in Walu Bay, Suva. Mr Winters said they chose Suva as their preferred location 80s setting and Suva was perfect for it. “We love Suva and the atmosphere here,” he said. “Our movie is set in the 80’s and Suva is perfect for the set of the movie we were looking for. “The director of the movie, Baltasar Kormakur and I came to Fiji in March for scouting. Then we came back in May to prepare for the shooting. “We are here for 47 per cent of the film shoot which is very attractive. “We have very good crew members and also hired a lot of locals to work in the production of the movie. “We will be shooting in Suva till the end of July then move to Rakiraki to shoot up till end of August. “We have made an investment of $10m for the shoot of the movie that includes everything from accommodation and production of the movie. “We are very happy here in Fiji as everyone has been very helpful and kind,” Mr Winters said. Adrift is written by Aaron and Jordan Kandell. The movie began shooting last month. It is based on Ms Oldham’s book Red Sky in Mourning. Mr Kormakur will direct and produce the film under his RVK Studios banner. He is known for directing and co-producing the 2015 British-American biographical adventure film, Everest.